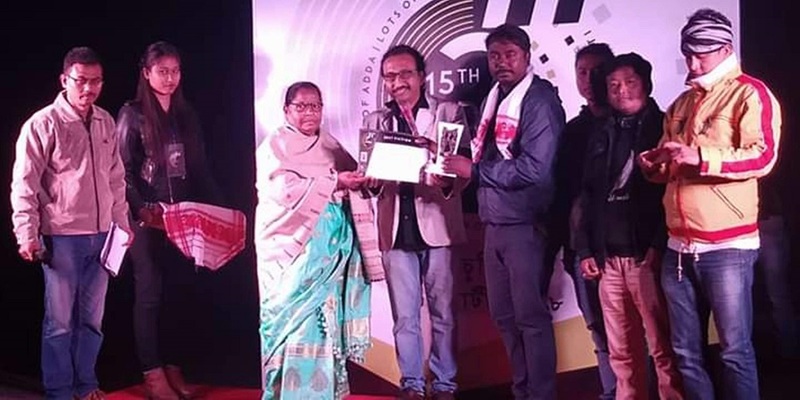 The 15th edition of Adda Short Film Festival 2018, the first-ever open air film festival in Northeast of India, concluded recently at the Jyoti Chitraban (Film Studio) Society, Guwahati. 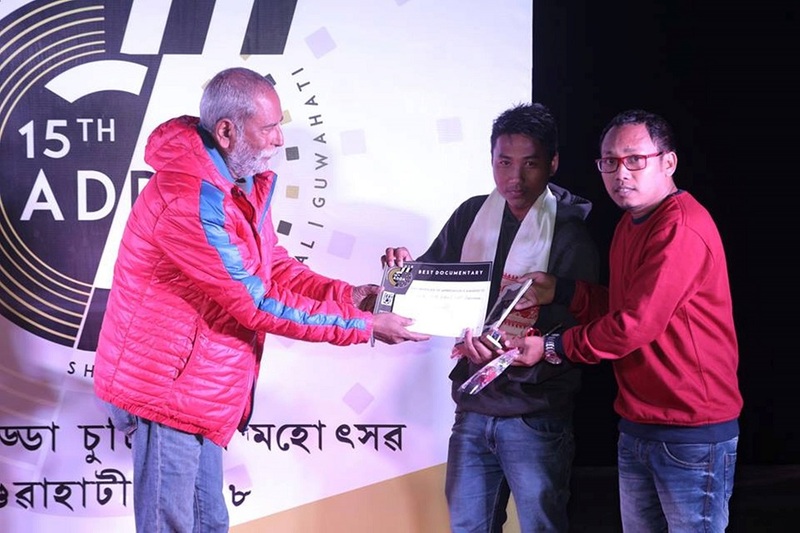 The festival, held under the aegis of ADDA in association with Aucto Creation, featured some fabulous lineup of short films this year that demonstrated the talents of independent filmmakers from far and near. Since 2004, the festival has been celebrating the efforts of new filmmakers, promoting diversity of cultural expressions, holding discussion sessions in order to exchange ideas, information and knowledge. This year, the festival held discussions on two topics, which enlightened the filmmakers, writers, critics, students and connoisseurs of cinema. The discussion on the subject – ‘Cinematic Journey of Late Pabitra Kumar Deka’, was participated by an expert panel comprising of eminent writer and former principal of Cotton College Udayaditya Bharali, filmmakers Sanjeev Hazorika, Prabin Hazarika, Hemanta Kumar Das and Mridul Gupta, cine-journalists Apurba Kumar Das, Bidyut Kumar Bhuyan, Utpal Datta and Arunlochan Das, art director Phatik Baruah, among others. Pabitra Kumar Deka’s name is forever etched in the state’s cultural scenario. From making writings on cinema or theatre an integral part of journalism in this part of the world, particularly in the vernacular media, to publishing the pioneering cultural magazine – Roopkar, or instituting the first film awards in Assam way back in 1975, the Roopkar Awards, the distinguished cine-journalist and litterateur broke new ground with each of his enterprise. On the other hand, the discussion on the topic – ‘New Thinking New Films’, was participated by several rising filmmakers and technicians including Deep Choudhury, Himjyoti Talukdar, Manjul Baruah, Jhulan Krishna Mahanta, Kangkan Deka, Debajit Gayan, Indranil Kashyap, Sourav Mahanta, Khanjan Kishore Nath, among others. The sessions were anchored by Amar Deep Gogoi, President of ADDA. The festival has certainly proved to be a happy gathering ground for rising filmmakers and technicians, film buffs and enthusiasts to meet, make new acquaintances, discuss film techniques and exchange ideas. 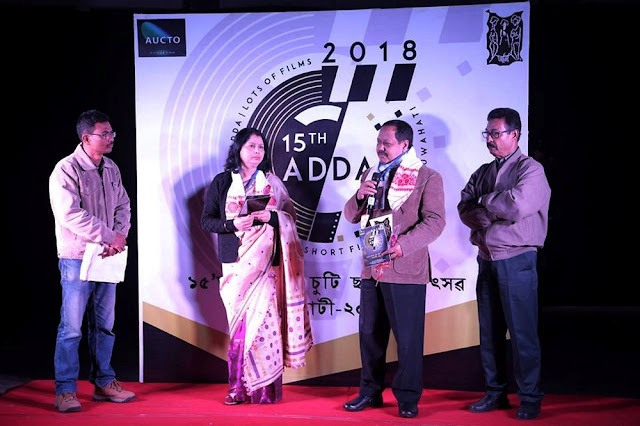 The Adda Short Film Festival opened with Parthajit Baruah’s well-received documentary ‘Chiaroscuro’, while Deep Choudhury’s ‘Cafe story teller’ was the closing film. The festival invitees were Dip Bhuyan's ‘The Divided Soul’, Bhaskar Jyoti Mahanta’s ‘Yugadrashta: The Visionary’, Sibanu Borah and Ramen Borah’s ‘Sikar Aru Sitkaar’, Indranil Kashyap’s ‘Kula’, Deep Choudhury’s ‘Cafe story teller’, Utpal Dutta’s ‘By-Lane 2’ and Ruksana Tabbasum’s ‘The Cake Story’. The Jury, comprising of Utpal Borpujari, Deep Choudhury and Bhaskar Jyoti Das, adjudged Chandra Shekhar’s ‘Murti’ as the Best Film in the fiction category. 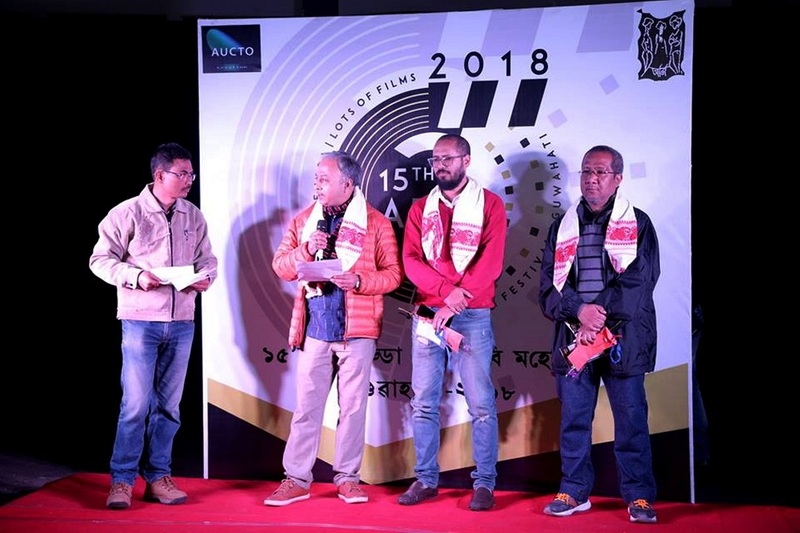 While ‘No’ (The Home), directed by Sujit Debbarma and Pranab Jyoti Deka, bagged the Best Documentary award, the award for Best Animation Film was presented to Kankan Jyoti Borthakur’s ‘Bhoot’, and the Jury’s Special Award was presented to ‘Fade In’, directed by Ankur Jyoti Deka.